This is an amazingly versatile product. 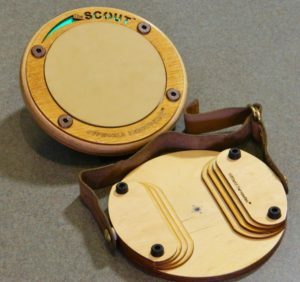 It was created to offer everything the touring drummer needs in a portable pad. 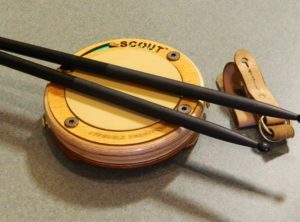 The Scout™ sports two playing surfaces with OffWorld’s own DarkMatter™ on one side and natural rubber on the other. The pad fits comfortably over the thigh and comes with a quick-release removable strap to hold it securely in place. 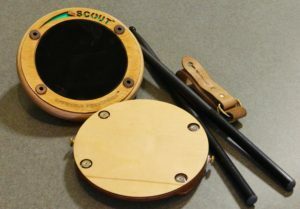 Because the base and pad are separate components, connected by 4 powerful rare-earth magnets, swapping between DarkMatter™ and natural rubber is as easy as flipping the pad over, one side to the other, without the base ever leaving the thigh. 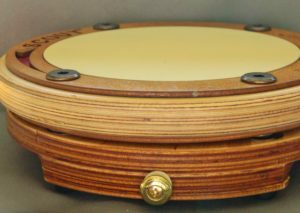 As an additional feature, the base comes with an 8mm threaded insert for mounting to the most common cymbal stands. 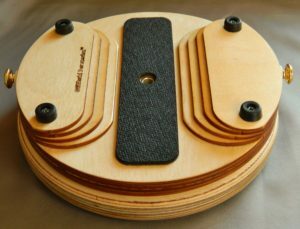 The base also has 4 rubber feet for sitting stable on any flat surface. 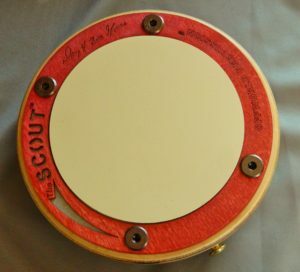 In honor of their vast percussive influence, the Scout™ is laser etched with the signatures of jazz great Danny Gottlieb and his accomplished partner, performer/educator Beth Gottlieb. 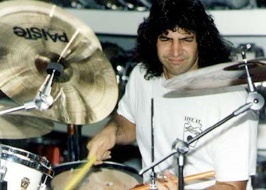 One of the most respected drummers of the jazz and contemporary idiom, Danny Gottlieb is best recognized for his amazing work within the original Pat Metheny Group. Over the the course of 30 years, Danny has performed and recorded with some of the world’s greatest musicians including Bobby McFerrin, Sting, Chick Corea, Gil Evans, Gary Burton, John Mclaughlin, Stan Getz, Jeff Berlin, Pat Metheny, David Byrne, Herbie Hancock, Wayne Shorter, Gerry Mulligan, Clark Terry, Al Di Meola, The Blues Brothers Band, Booker T and the MG’s, Lew Soloff, and many more. He is featured on more than 300 CD’s to date, including four Grammy Award Winners. 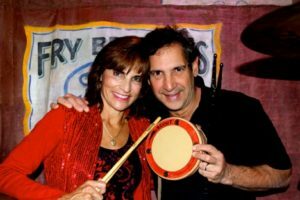 Danny and his wife Beth Gottlieb are members of Gary Sinise’s Lt. Dan Band, performing 30-40 concerts per year throughout the world, 75% of which serve as benefit concerts for the USO and US Military. Danny has been featured on the cover of Modern Drummer, Down Beat, Drums and Percussion, Rhythm, and Drum Scene Magazines. He endorses Zildjian, Remo, Hot Sticks, DW Pedal and Hardware, Regal Tip Brushes Basix Drums, Eames Drum Shells, Vic Firth Mallets, Shure microphones, and Alternate Mode-Kat Products. Click here to see his OffWorld interview.